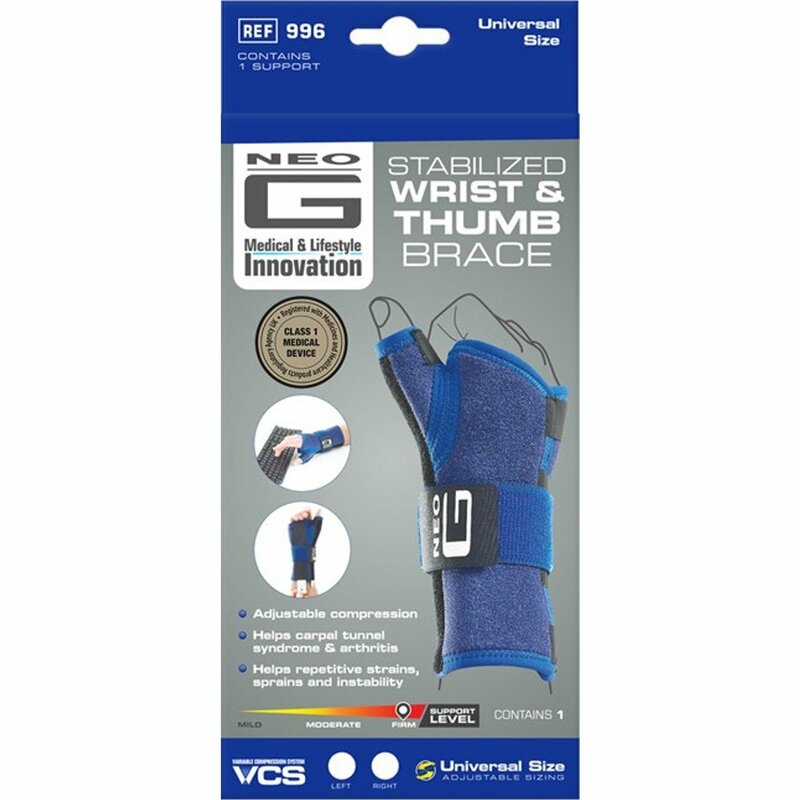 The Neo-G Stabilized Wrist and Thumb Brace has a removable metal splint to allow variable stabilization of the wrist and hand. 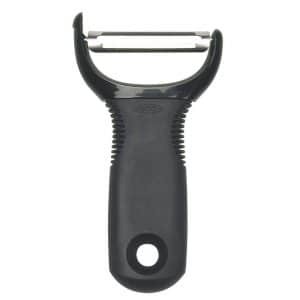 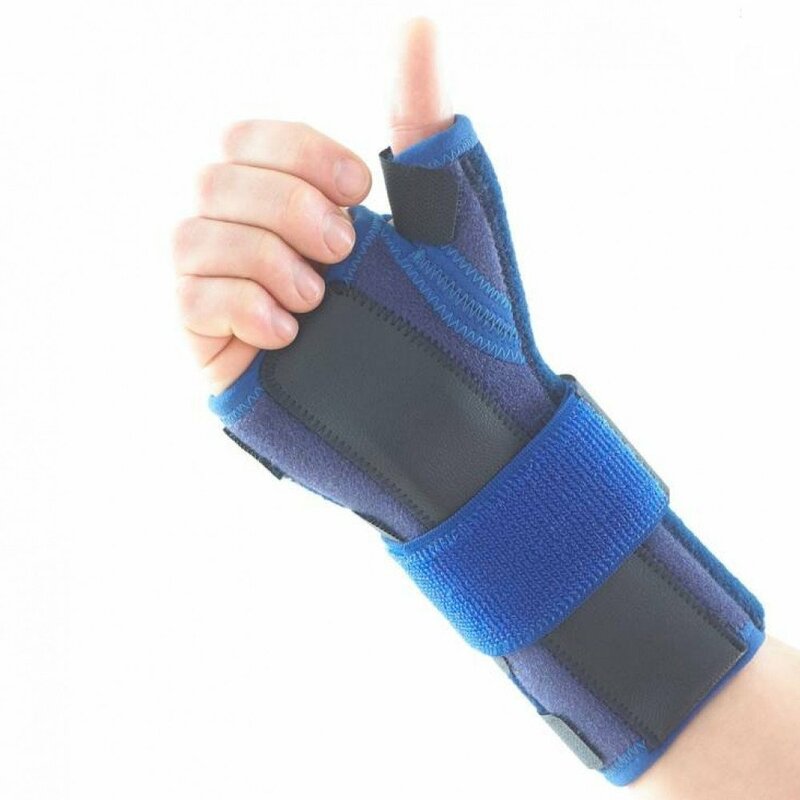 It also contains a malleable thumb splint to help immobilize the thumb joint. 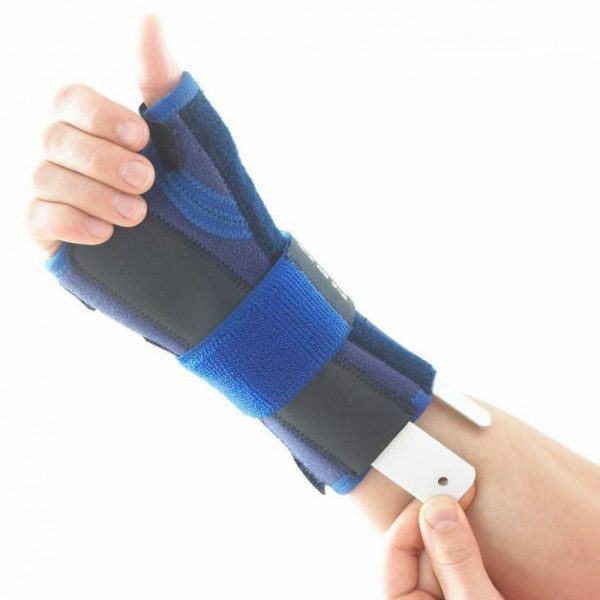 The adjustable strap provides additional compression around the wrist and/or hand if needed, which can help encourage the correct alignment of the carpal bones and help reduce inflammation, useful in the management of carpal tunnel syndrome. 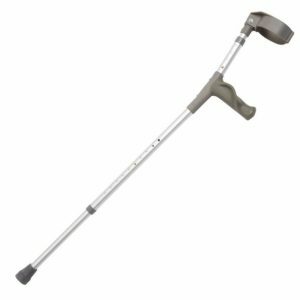 The support can also be used to help reduce strain caused by repetitive movements at the wrist associated with typing, writing and other occupational or sporting activities. 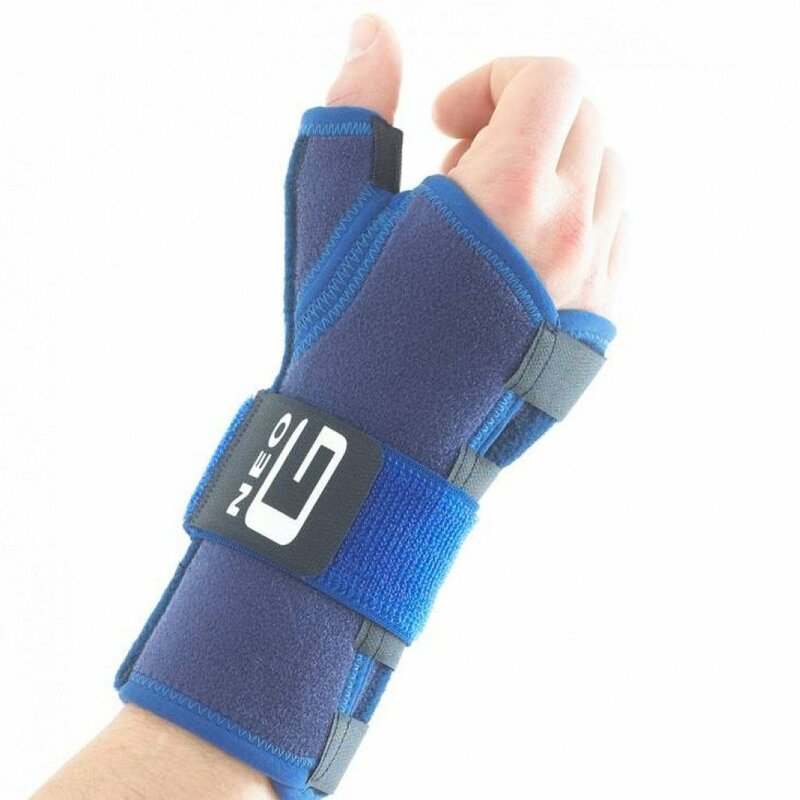 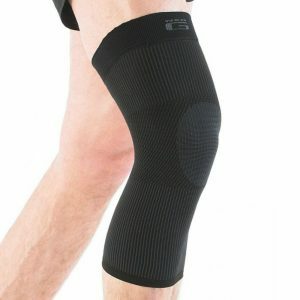 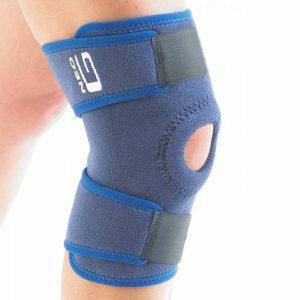 The brace helps reduce excessive wrist movements and helps manage symptoms caused by joint overuse and arthritis.